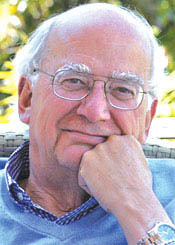 Michael S. Gazzaniga is one of the world’s leaders in studies of the mind and brain. His discovery of the distinct contributions of the two cerebral hemispheres of the human brain to thought and consciousness revolutionized our understanding of brain function. Through innovative experiments in split-brain patients, he has revealed the brain-hemispheric specializations in perception, action, cognition, emotion, and consciousness that give rise to the human mind. These discoveries led to his influential theory of the left-hemisphere interpreter system. Gazzaniga’s contributions have encompassed an impressive range of work in addition to that in split-brain patients. He has carried out extensive studies on patients with focal brain damage and has demonstrated the scope and limits of information processing outside of conscious awareness following brain lesions. He complemented this work with new, quantitative ways of mapping the human brain using both functional and structural brain imaging to demonstrate regions of specificity of function. He continues to innovate by proposing and fostering creative new directions in mind and brain research. Gazzaniga has been a tireless advocate for science education and training, and he has been prominent in science public policy, contributing to the national discussions on mental health, education, and the law. His leadership in establishing training programs, advancing scientific societies, and conducting research at the cutting edge has forever altered the field of understanding the mind and brain. See Gazzaniga’s award address presented at the 2015 APS Annual Convention in New York, NY, USA.